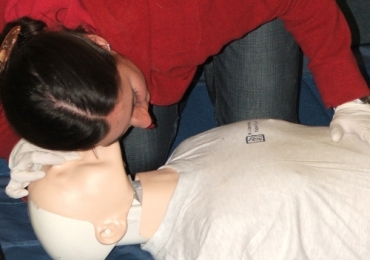 This 4 hour module is a great introduction to First Aid for rural or semi remote environments. It is often run in combination with other modules to tailor the training to meet your requirements and prepare you to deal with first aid outdoors. Following the guidelines set out by our awarding body Remote Emergency Care, the course focuses on incident management, assessing a patient's vital signs and providing lifesaving interventions. ~ Introduction to Outdoor First Aid, Part 1, suitable for Bronze award participants, or as the initial first aid training session (approx. 4hr). ~ Introduction to Outdoor First Aid, Part 2, suitable for Silver award participants, or as the second phase in their expedition first aid training (approx. 4hr). ~ For Gold award participants we would recommend our 8hr Remote Emergency Care Outdoor First Aid course. This would look further into Gold Expedition scenarios, being more remote and far from help. The course is popular in schools and Universities both with students and staff. It gives you core lifesaving first aid skills suitable for incidents with good access to emergency services. It also introduces the concepts and skills required for more remote or mountain first aid situations. This 4 hour course can work either as a stand-alone session for those wanting to get started with dealing with first aid outdoors, or as a module to work alongside other units to create a truly bespoke training package.